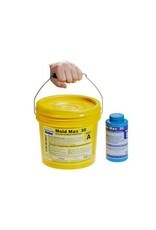 Mold-Max 30 is a great rubber and unbeatable price wise. 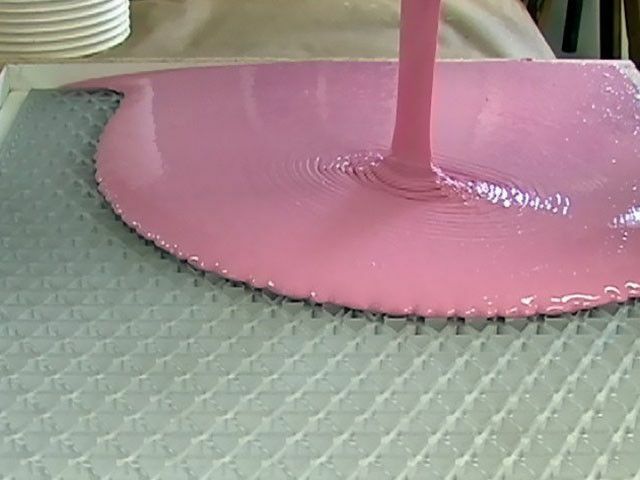 A rubber ideal for molds directly over water clay. Its high flexibility makes it an ideal rubber for highly detailed and deeply undercut originals. Works well as an undercoat for Resilpom Putty. Mold Max Silicones are new tin-cured silicone rubber compounds that have exceptional tear strength and working properties. Mold Max Silicones cure overnight and feature knotty tear propagation (if the rubber is torn, the tear quickly terminates in a knot reducing further mold damage). Mold Max Silicones will reproduce the finest detail and are suitable for a variety of industrial and art related applications including making molds for reproducing prototype, furniture, sculpture and architectural elements. Mold Max 10, 20 & 30 Silicones can be thickened with THI-VEX II thixotropic additive for brush-on application and accelerated using FastCat 30. 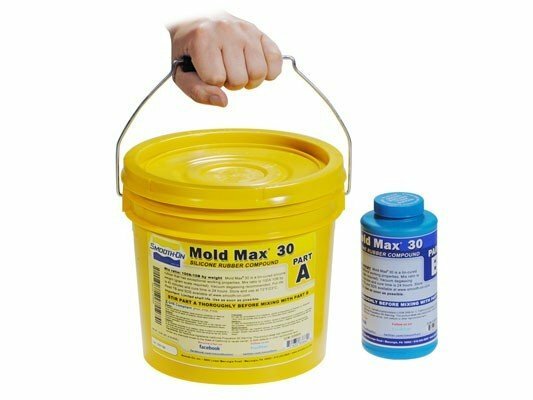 Mold Max Silicones can also be used to cast a variety of materials including wax, gypsum, low melt alloys/metals and urethane, epoxy or polyester resins (without using a release agent). Mold Max® RTV silicone rubbers will reproduce the finest detail and are suitable for a variety of industrial and art related applications including making molds for reproducing prototypes, furniture, sculpture and architectural elements. Mold Max® silicones can also be used to cast a variety of materials including wax, gypsum, low melt alloys/metals and urethane, epoxy or polyester resins (without using a release agent).